Edmund Mortimer, later 5th Earl of March, was born on 6 November 1391. His parents were Roger Mortimer, Earl of March (1374-1398) and his wife, the well-connected Alianore Holland, daughter of Thomas Earl of Kent. In the view of many people, including the Westminster Chronicler, and the Welsh poet Iolo Goch (c1320-1398) Earl Roger was the rightful heir to King Richard II. Under current inheritance doctrine he certainly would be, but it was far less clear at the time. Ian Mortimer believes – on the basis of reasonably compelling evidence – that Richard selected his uncle, Edmund of Langley, Duke of York to succeed him. In the event, of course, Richard was succeeded by his Lancastrian cousin, Henry IV. Whether this would have happened so smoothly had Earl Roger not died the previous year is a moot point. After Earl Roger’s death, Countess Alianore received a dower valued at £1,242 a year (the rough equivalent of the minimum income for two earldoms!) and the remainder of the Mortimer lands were partitioned in wardship between the dukes of Aumale (Edward of York), Exeter (John Holland) and Surrey (Thomas Holland) and the Earl of Wiltshire. This arrangement did not last long due to fall of Richard II and the consequent deaths of Exeter, Surrey and Wiltshire. 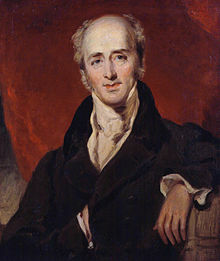 Countess Alianore was allowed the custody of her daughters, but her sons, Earl Edmund and his brother, Roger, were kept in King Henry’s hands under the charge of Sir Hugh Waterton, a Yorkshireman of Henry’s extensive following. It is certain that not everyone in England accepted Henry IV’s dubious title to the throne. Among those who did not was the King’s own cousin, Constance of York, Lady Despenser, who contrived to extract the boys from Windsor Castle in the middle of a February night 1405. Her intention was apparently to take them to Owain Glyndwr in Wales, their uncle, Sir Edmund Mortimer, having already defected to Glyndwr after Henry’s failure to ransom him. The fugitives were recaptured near Cheltenham; had they managed the few extra miles to the other side of the Severn, English and Welsh history might have been different. It was only after the failure of Constance’s plot that Glyndwr, Edmund Mortimer and Northumberland came up with the Tripartite Indenture, a scheme to divide England between them; a proposal which probably cost them at least as many supporters as it gained. Meanwhile, the young Earl of March and his brother were transferred to Pevensey Castle, where for a few months they were joined by Constance’s brother, Edward, Duke of York (the erstwhile Aumale) who was imprisoned for his part in her scheme. In February 1409 the two boys were transferred to the household of Henry, Prince of Wales, the future Henry V. The fall of Harlech Castle, Glyndwr’s last stronghold, and the death in the siege of their uncle, meant that the Mortimers were now much less of a political threat. The Prince of Wales was also given the custody of a large portion of the Mortimer lands. Soon after Henry V’s accession, March was given livery of his lands, as he was now of age. He chose to marry Anne Stafford, daughter of that Earl of Stafford who was killed at Shrewsbury (1403) and granddaughter of Thomas of Woodstock, Duke of Gloucester. Henry V imposed a massive marriage fine of 10,000 marks. Now to be quite clear, Henry was entitled to levy the fine, but the amount was wholly excessive and unreasonable. In another king it would be called tyrannical. To make matters worse, to meet the cost of following Henry to France and service his own large debts, March was obliged, in 1415, to mortgage a large part of his Welsh lands plus no fewer than 45 English manors. He was never able to restore himself to solvency, and the burden was eventually passed on to his successor. It should be borne in mind that the Welsh lands had been devastated during the Glyndwr rising, and much reduced in value, while the whole inheritance had suffered some 17 years of wardship, during which a degree of asset-stripping was almost inevitable. In the circumstances, it is not wholly surprising that March was drawn into the Southampton Plot led by his former brother-in-law, Richard of York, Earl of Cambridge. The exact nature of that plot is still a mystery to historians. It was certainly aimed at Henry V, but not necessarily at killing the King or overthrowing his government. Whatever the ultimate intentions of the conspirators, their ideas seem only to have been half-formed when March, perhaps in a panic, decided to betray them to the King. 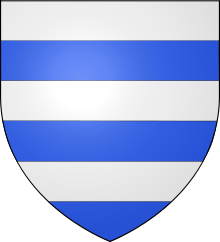 By doing so March saved his own life, but made it unlikely that anyone would trust him ever again, He obtained a royal pardon for all treasons and other offences and went to France with Henry, only to be invalided back from Harfleur. It is likely that he contracted dysentery. Between 1416 and 1422 he was involved in other military actions in France without any obvious advantage either to his fortunes or his reputation. Henry gave him no share in the lands conquered in Normandy. After Henry’s death March served on the Council but soon attracted the hostility of Humphrey, Duke of Gloucester, who in 1424 claimed that March was keeping too great a household and offering too much in the way of hospitality. The activities of March’s kinsman, Sir John Mortimer, who escaped from the Tower twice before being executed in 1424, cannot have helped his case. In May 1424 March was made Lieutenant of Ireland, and effectively banished there. His term of office did not in fact last long, as like his father he died in the Emerald Isle. In Edmund’s case, on 18th January 1425. His marriage was childless, but his widow went on to have children with her second husband. The effect of this was (since Edmund’s brother had died some years earlier) that the vast Mortimer estates passed to his nephew, Richard, Duke of York. Without this “merger” – so to speak – it is most unlikely that the House of York would ever have had sufficient landed clout to put itself on the throne. It is worth mentioning that this was also the cause of the white rose badge transferring to York. Previously it had been a Mortimer symbol. Henry V and the Southampton Plot, T.B. Pugh. The Fears of Henry IV, Ian Mortimer. It is conceivable that historians do not take the early revisionist histories of king Richard III seriously owing to an assumption that the authors were not themselves serious. If so, they are probably mistaken about Sir William Cornwallis (1579-1614) the author of the ‘Encomium of Richard III’, the earliest extant defence of the last Plantagenet king and the subject of this post. And they are definitely wrong about Sir George Buck, the author of a second and more substantial defence of Richard entitled ‘The History of King Richard the Third’. My purpose in this post and a further one about Buck is to draw attention to these undervalued and misunderstood revisionists, whose pioneering works have provided the template for subsequent defences of king Richard. Sir William Cornwallis the younger (so called, to distinguish him from his uncle) was probably born at Fincham, Norfolk. He was the eldest child of Sir Charles Cornwallis a diplomat and court official. The Cornwallis’ were well known recusants and too prominent during catholic Mary’s time to prosper much under protestant Elizabeth: they were always under suspicion. Within that parameter the young Cornwallis’ upbringing was gratifyingly orthodox. He studied at Queen’s College, Oxford. In 1595 he married Katherine Parker; they had thirteen children, eight of whom survived him. In 1599 he saw action in the earl of Essex’s Irish campaign, and was knighted by the earl for his service . On his return to England he lived quietly during the remainder of Elizabeth’s reign. In 1603 on the accession of James I he was appointed a member of the king’s Privy Chamber. In 1604 he was elected MP for Orford in Suffolk in support of the union between England and Scotland, and in 1605 was sent on a minor diplomatic mission to Spain. 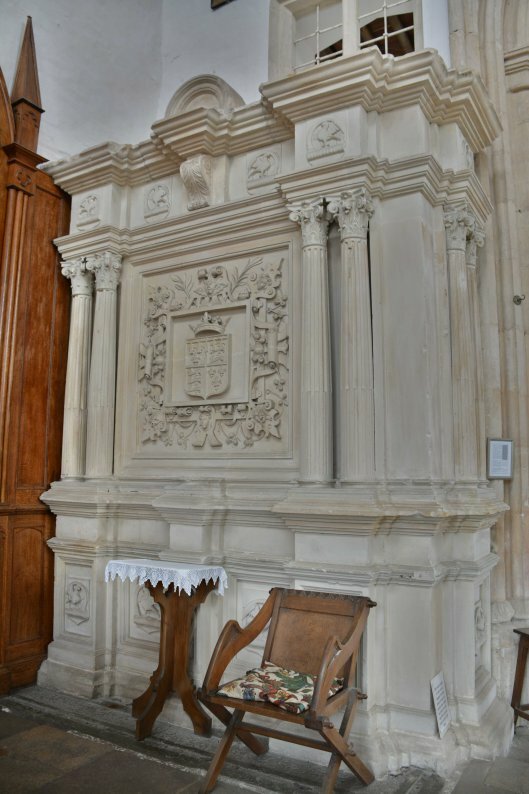 His extravagant lifestyle resulted in considerable debt and despite a gift of £2000 from the king he died in penury in 1614, leaving his widow and eight children destitute. Cornwallis’ literary career was that of a gentleman amateur writing ‘familiar’ paradoxical essays at the turn of seventeenth century. According to Kincaid “His style is fluent but incursive, his periods short but balanced. Illustrative examples are drawn from his own experience, though with evident modesty. He is concerned with self-improvement, particularly for statesman, stressing stoic virtues such as resolution, fortitude and endurance. His method is influenced by Montaigne, his ethics by Seneca . The paradoxes range from satirical praise of misfortune (e.g. ‘The French Pox’ and ‘Debt’) to what seem, at least partly, serious defences of historical figures (e.g. Julian the Apostate and Richard III).” Even though the contemporary essays of Sir Francis Bacon and John Donne overshadowed Cornwallis’ own literary achievement, the paradoxical essay tradition as it re-emerged in the eighteenth and nineteenth centuries owes more to his method than to theirs. It was commonplace for the original manuscripts of familiar essays to circulate among groups of literary friends. It was also commonplace for the author and for others to copy the manuscript: sometimes adding further comments, sometimes correcting errors. The Encomium of Richard III was no exception to the rule; there are ten surviving manuscript copies of it, each being different from the earliest and from each other. Although many of the changes are minor and stylistic, there are some important ‘political’ interpolations in later versions. Cornwallis’ original manuscript is a mixture of the serious and the paradoxical. It does not sit easily in the form of a paradox. However, later additions indicate crude attempts to formalize it as a conventional paradox. Efforts have also been made to de-personalize it; whereas Cornwallis attacks a single ‘corrupt chronicler’, later versions change that to ‘our corrupt chroniclers’. The most interesting additions are those that are politically motivated. These additions though ostensibly enhancing Richard’s defence are really political propaganda linked to the Essex plot of 1600, and have wrenched Cornwallis’ original Encomium out of context. It is not surprising, therefore, that so many literary scholars regard the Encomium as a rather poor paradoxical essay and so many historians disregard it as a serious defence of king Richard III. It is also unfortunate that the latest version was published in 1616, as it is the one most commonly known and it distorts Cornwallis’ own views. It is in this context that we should assess the worth of the ‘Encomium’. In this post I am concentrating on three aspects of the Encomium. First the questions of authorship and motive, second an overview of Cornwallis’ technique for defending king Richard’s reputation, and finally the influence of late Elizabethan and early Jacobean politics on later versions of the Encomium. In the first half of the twentieth century, Professor W Gordon Zeeveld argued that ‘The Encomium of Richard III’ was in response to a manuscript account of king Richard’s reign written by Cardinal John Morton soon after Bosworth. This manuscript had been circulating amongst Tudor intellectuals for many years. According to Zeeveld it was copied by Sir Thomas More and published by his nephew John Rastell as More’s ‘History of King Richard III. Zeeveld argues that the traces of personal hatred towards Morton contained in early versions of the Encomium are evidence that it was inspired by Morton’s tract. Zeeveld also believed that the Encomium was a palimpsest concealing an earlier defence of Richard, with Cornwallis as the continuator rather than the originator of that work. He postulates that an anonymous contemporary supporter of Richard took it upon himself to defend his dead master from Morton’s tract. Unfortunately there is no evidence that this earlier defence existed; neither does it follow that the personal bitterness evident in the Encomium places the author in the 1490’s. As Dr Kincaid points out, it could just as easily result from intellectual stimulus affecting somebody in the 1590’s. Nobody knows why Cornwallis wrote this essay or why he chose to do so in a hybrid form. His animosity towards one Tudor chronicler suggests an emotional involvement that is at odds with his otherwise reasoned and intellectual approach. However, the editors of Kincaid’s excellent edition of the Encomium have conducted a careful and minute study of all ten original manuscripts and they are perfectly satisfied about two things: first, the Encomium is not a palimpsest, it is Cornwallis’ original work; second, Morton wrote a tract about Richard that was still extant in the 1590’s.Notwithstanding these conclusions, the evidence of a link between Cornwallis and Morton’s tract is circumstantial at best; it does no more than establish the possibility that Cornwallis had access to the tract. Last on this aspect, the suggestion that Morton wrote a tract which was still in circulation well into Elizabeth I’s reign has wider significance, particularly regarding the authorship of More’s ‘History’ and its impact on Sir George Buck ‘History of King Richard the Third’. I hope to address both these issues in a future post. Cornwallis’ defence of Richard is unique in pro Ricardian literature in that generally he does not challenge the traditional Tudor version of the facts. The importance of the Encomium to the Ricardian narrative is simply that it is the first reasoned defence of Richard. The absence of an evidence base to accompany Cornwallis’ reasoning does not damage his contribution to that narrative, since Buck and others have been well able to supply that evidence. Although largely ignored by academics and historians, the Encomium has had a significant influence on future revisionists. For example, Buck structured his first three books around the Encomium (though he was working from a later manuscript) and Walpole adopted a similarly reasoned approach. The Encomium contains most, if not all, of the reasoned, logical defensive arguments that we see in modern Ricardian literature to this day. Cornwallis makes four broad points. First, some of the accusations against Richard are so frivolous that they must have been prompted by malice (e.g. his physical appearance, born with teeth etc.). Second, there is no objective evidence that he committed many of the offences alleged against him (e.g. the murder of Henry VI and the allegation that he ‘commanded’ Dr Shaw’s sermon on the 22 June 1483, for which others are clearly implicated). Third, he is not guilty of usurpation or of regicide by reasons of state. It is only the third point that I want to explore in a little detail since the allegation of regicide is by far the most serious charge laid against king Richard III. Cornwallis eschews a substantive defence of king Richard; instead, he emphasizes his personal virtues and his good works, and excuses his actions as being in the public interest and done from a high sense of public duty. Albeit we cannot establish a firm link between Cornwallis and Morton’s tract it seems that the Encomium was indeed a response to More/Morton account. For instance, when condoning Richard’s seizure of the crown, Cornwallis refers to Edward IV’s betrothal to ‘Elizabeth Lucy’. That is a name he can only have found in the work(s) of More/Morton. Cornwallis had ‘ high views of the royal prerogative and his Encomium shows no exception.’ For example, he writes “…chroniclers should not criticise kings because kings are accountable only to a jury of kings and to God.” In Kincaid’s edition of the Encomium, the editors identify four distinct ways in which later additions of the British Museum manuscript turned this essentially pro-monarchist work into a revolutionary text. The first change is subtle alteration to the notion of divine authority. The most obvious example of this occurs in the extract I have referred to above. At the point where Cornwallis suggests that the death of the Princes might be God’s judgement on the sins of their father we get this interpolation (highlighted): “…if so complain of their fate, not his cruelty (FOR IN THESE FATAL THINGS IT FALLS OUT THAT HIGH WORKING POWERS MAKE SECOND CAUSES, UNWITTINGLY ACCESSORY TO THEIR DETERMINATION) yet in policy princes…” This insertion introduces a controversial, political tone; though the point being made is hardly new or novel. The notion that temporal kings were subject to God’s law, which upholds truth and justice against deceit and injustice, was argued by the Yorkists in the 1450’s to justify their rebellion against the misuse of royal authority. It follows that if God’s law forbids tyranny it must be His will that subjects should resist and even overthrow tyrants, by force if necessary. This interpolation reflects the seventeenth century’s revolutionary agenda whereby the exponents of change rejected the divine right of king, in favour of the principle, enshrined in Magna Carta, that the king was subject to the common law of the land. Rex is not lex; lex is rex (The king is not law; the law is king.). Second, the text was changed to show the Tudors in a much worse light than hitherto. For example, Cornwallis praises Richard for abolishing forced loans. However, this is altered slightly with the insertion “ THOUGH HE CAME TO MANAGE A STATE WHOSE TREASURE WAS EXCEEDINGLY EXHAUSTED.” It is a comment that would strike a cord with late Elizabethans struggling under an inequitable tax system. The costs of the continuing Spanish war and the troubles in Ireland had increased the parliamentary subsides granted to the Crown fourfold between 1589 and 1601, with a disproportionate burden falling on the poor. Indeed, the demand for increased subsidy in 1589 was so onerous for the rich that Sir Francis Bacon declared in parliament: “Gentlemen must sell their plate, farmers their brass pots ere this will be paid”. In desperation the Queen resorted to levying forced loans and benevolences on the wealthy through the privy seal. She also imposed ship money on inland towns; yet still the exchequer was in deficit. In 1601 parliament debated the plight of the poor. There were calls for the wealthy to pay more: “Some thought that three-pound men should be spared; others that four-pound men should pay double, with a corresponding increased charge on the rest upwards.” The tendency of Stuart monarchs to raise taxes without the consent of parliament through forced loans, increased custom duties and ship money was an issue (there were others) that eventually led the king to kill his subjects and his subjects to kill their king. At the turn of the seventeenth century England was in turmoil; people were uncertain about the future, confused and frightened. The queen was ageing and various political factions were jockeying for power and influence in preparation for her demise. Poor harvests had brought famine, the war with Spain dragged on accompanied by genuine war weariness and the economy was a shambles. Militarily and diplomatically England was weaker in 1600 than it had been in1588, whilst Spain was stronger.The Spanish army occupying Holland was a direct threat to England’s flank and her independence. On top of all this the protestant reformation was not secured, nor the succession settled. Of the two foreign candidates, one was a Roman Catholic and the other a protestant flirting with Catholicism . The Cecil clique, pacific by inclination, wanted peace with Spain, which was abhorrent to the protestants. In 1601 Robert Devereux the earl of Essex accused Robert Cecil of favouring the succession of the Spanish Infanta to the English throne. It was dismissed as nonsense at the time. However, with the benefit of five hundred years of hindsight and official correspondence we can see that at best, Cecil’s behaviour was disingenuous. Fourth, and perhaps most significantly, is the insertion of an unambiguous appeal to force against legitimacy. Cornwallis is writing of the necessity for Richard to assume the crown for the common good and in particular to prevent another civil war, then this paragraph is inserted into Cornwallis’ narrative: “…THE DUTY WE OWE OUR COUNTRY EXCEEDS ALL OTHER DUTIES, SINCE IN ITSELF IT CONTAINS THEM ALL. THAT FOR RESPECT THEREOF NOT ONLY ALL TENDER RESPECTS OF KINDRED, OR WHATSOEVER OTHER RESPECTS OF FRIENDSHIP ARE TO BE LAID ASIDE, BUT THAT EVEN LONG HELD OPINIONS (RATHER GROUNDED ON SECRET GOVERNMENT THAN ANY GROUNDS OF TRUTH) ARE TO BE FORSAKEN SINCE THE END WHERETO ANYTHING IS DIRECTED IS EVER TO BE OF MORE NOBLE RECKONING THAN THE THING THERETO DIRECTED, THAT THEREFORE THE PUBLIC WEAL IS MORE TO BE REGARDED THAN A PERSON OR MAGISTRATE THAT THEREUNTO IS ORDERED…IF ANY MAN SHOULD OBJECT TO THIS COURSE LET HIM KNOW THAT NECESSITIES REQUIRE NEW REMEDIES AND FOR HIM (Richard) THERE WAS NO REMEDY BUT THIS ONE.” It is a sentiment that needs no explanation. Kincaid and Ramsden argue that this insertion was probably aimed at Sir Henry Neville who had an ambiguous role in Essex’s attempted coup of 1600 and who was related to Robert Cecil. They postulate that Henry Wriothesley, earl of Southampton sent this amended copy of the Encomium to Neville to reassure him that he could disregard ties of kinship since it was God’s will that the Cecil’s should be overthrown. It is, they say, the only explanation for this insertion, which is so contrary to Cornwallis’ own philosophy. Elizabeth I was furious with Essex for personally knighting so many of his officers in the wake of his shameful truce with the Irish rebels; the queen called these officers ‘idle knights’ and there is no suggestion that Cornwallis’ preferment suggested a softening of attitude towards him. The Cornwallis’ – we are told – ‘were always under suspicion’. Michel Eyquem Montaigne (1533-1592) was an influential French renaissance philosopher who wrote anecdotally on the human condition. His stated objective was to describe humanity and especially himself ‘with utter frankness’. Seneca the Younger (BC1-AD65) was a Roman stoic philosopher. He was forced to commit suicide after being implicated in a plot to assassinate the Emperor Nero. Professor J B Black – The Reign of Elizabeth I (Oxford 1987) pp. 228-234. James VI was a Protestant and his apparent willingness to convert to Roman Catholicism was only a diplomatic/political ploy to unsettle Elizabeth and the English: it worked. Black at pp.445-451: Professor Black refers to correspondence, which suggests that Robert Cecil sounded out the feasibility of the Infanta and her husband the Archduke Albert succeeding Elizabeth. He certainly seems to have considered the ditching James VI of Scotland as heir to the throne. 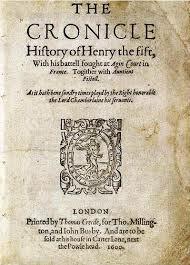 Following on from my recent post about the reception of the Agincourt campaign by later generations and the associated ‘myth-making’ which has informed our view of those events, I wanted to look at the character of the central figure in Shakespeare’s play and compare and contrast it with the ‘real’ Henry in the evidence that comes down to us today and the interpretations of some modern historians.